The wonderful world of paper can be daunting if you’re not sure what’s best to use. Paper choice is not just about aesthetics. 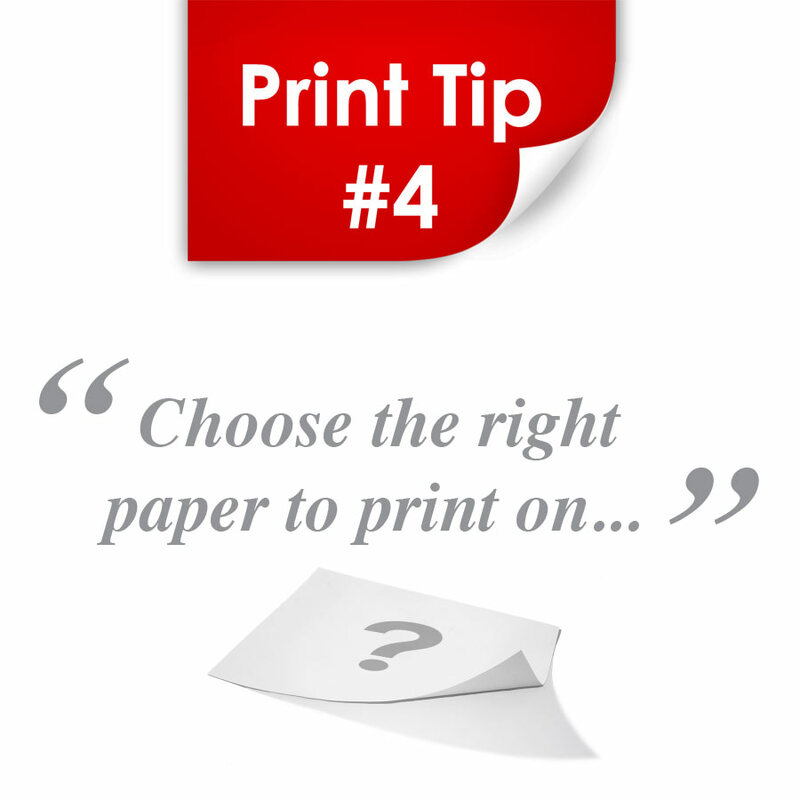 Cost, weight and print results are also factors to consider when selecting the right paper to print on. Generally, coated papers are more cost effective and provide reliably good print results but may not suit your job if you want a really matt finish or need to write on the document – here an uncoated stock would be more suitable. However, if it’s rich bright colours you are after, then the coated ranges are what you should be looking at. Currently we find the trend is towards thick textured stocks (300-350gsm in weight) which have a more earthy feel, like ‘Rives Tradition’ and ‘Natural Evolution’. These work particularly well for business cards, wedding stationery and other bespoke items. They do cost more but the amount of paper required for things like business cards is small so the increase in cost is marginal. Should you be printing high quantities of brochures and flyers though, you would be well advised to stick with a generic coated stock of 128gsm or more in weight. Many people are keen to use recycled papers nowadays but some of them are not suitable for certain applications and do not handle folding well or give you the colours you require. If you are unsure of the grammage to choose or whether a certain print finish is going to work on your chosen stock, chat to us and we will advise you on the most appropriate choice for your job.